Well, I made a lovely new dress and I flew commercial with Burda Air :-D. It was my first time purchasing a commercial pattern as I’d always been concerned that the sizing would not suit my body frame. I did not see the point of spending time adjusting the pattern to fit perfectly, might as well draft one from scratch! 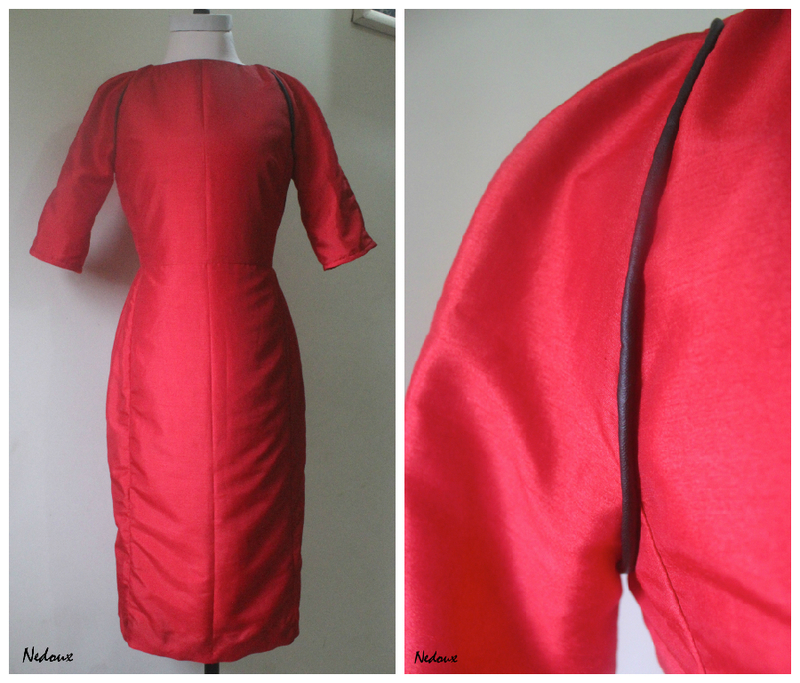 But this one was great, I selected a size with bust-waist-hip dimensions that were close enough to my own measurements. Description -Raglan sleeved dress with panels and cargo pockets. 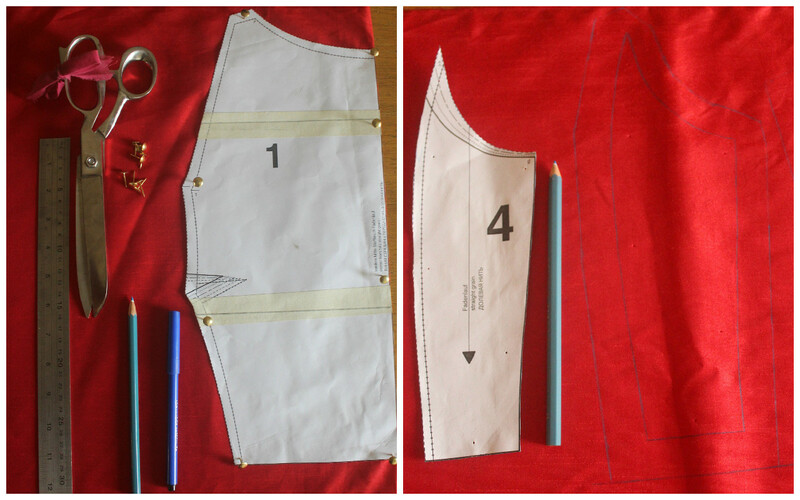 The Burda Cargo pocket dress pattern was pretty easy to assemble, it was fun in a “one plus one equals two” sort of way. The instructions were in a clear, connect the dots format. I printed out the pdf pages, joined them with sticky paper tape and cut out my size. I chose to sew a “wearable toile” to test-drive the pattern and I used a cheap but nice-looking synthetic silk fabric and cotton lining. Red is always so eye-catching. The sewing process was pretty easy too, the only thing I was concerned about was ensuring that the panels were perfectly aligned. 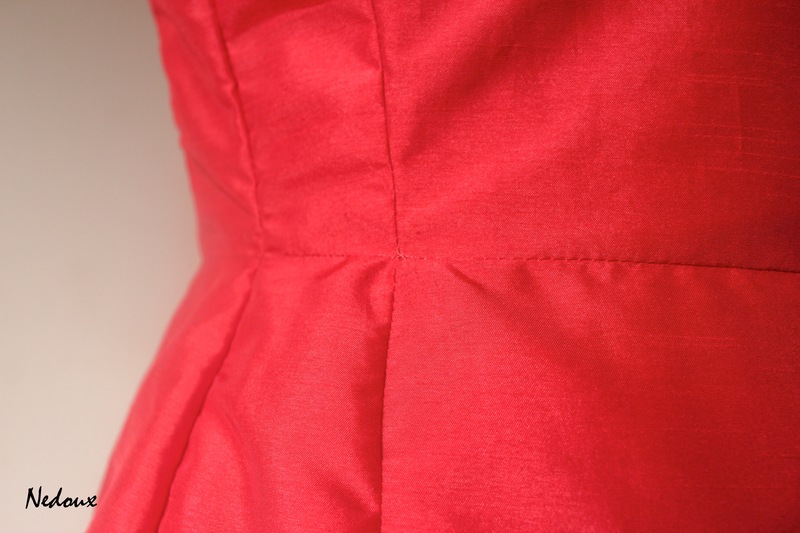 So, I used my tried and tested technique by first arranging and then pinning the adjoining bodice and skirt panel seams at the “meeting points” before sewing. I made mine without the pockets and at the front shoulder seams, I added black piping for some contrast, which was made using some cotton twine and the faux leather that I bought at Tejuosho Market . I also shortened the sleeves by 6.5 inches. Pattern verdict: I had a smooth flight! EOI: Ah! If you are interested, a governor is currently shopping for buyers of the state-owned Bombardier Challenger 604 Private Jet, purchased for $45 million in 2012, to relieve him of the burden of maintaining it. UPDATE TO POST: In response to both Timi and Skinny Efik Girl’s humorous comments about how the slang “PJ” has traditionally been associated with pyjamas, which is how I, myself have always used it, I shall now proceed to explain the differentiating phonology for the benefit of others. PEE.Jay: (Pyjamas) – Emphasis is on the Pee. You would recall that people either pee in their pyjamas, in the case of children, or get out of bed to pee while wearing said pyjamas. 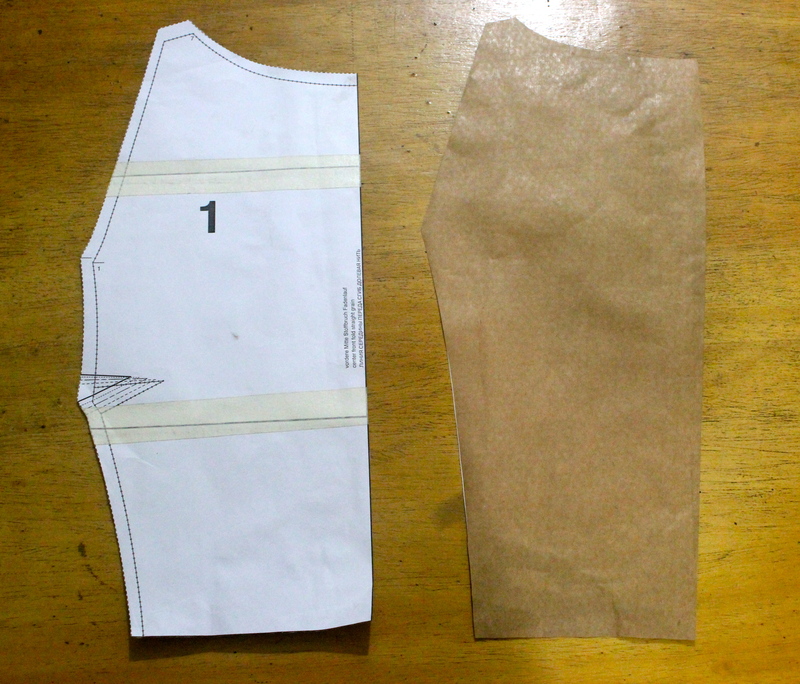 Commercial patterns really make the sewing process easier, which is a huge plus. The main minus is the sizing. About the sewing aspects- I have new things to learn. Thanks. I do not mean that sarcastically. About the other- private jets commonplace? I don’t think so. General observation- you definitely like midi dresses and skirts. Rock you! It’s definitely not commonplace at all, but seemingly so in certain circles. Lol, Yes! You are absolutely right! I’m a little obsessed with the midi silhouette, I quite like how it exudes “demure, lady-like and grown-up” chic. You look good!!! Thanks for stopping by, babes. Merci beacoup (silky french) :-D.
I am so glad you came by. Private jet now has an acronym? What is going to happen to PJ for pyjamas? lol.. I like your writing. Lovely red dress. You made sewing it seem so easy. Now I want to learn. With your help of course! Dear SEG, lemme explain the phonology of it all. PEEJay: Pyjamas – Emphasis is on the Pee. You would recall that people either pee in their pyjamas, in the case of children, or get out of bed to pee while wearing said pyjamas. Lol, Don’t mind me o, I am so glad you stopped by. I like your blog. Lol, you are most welcome. I am always happy to help. Lovely dress. Color compliments you well. Great job! Lovely RED dress…..keep it up my dear Sis….I’m so proud of you. Thank you so much. Yes, the pockets would have made it seem rather casual. Lol, I know what you mean, the hem tape charmed me with her beauty and I forgot how boring hand stitching can sometimes be. Abi? Really lovely shade, thank you. A new day, a new lingo learned 😀 . Yes, reminds me of boarding school, we called our pyjamas – “peejays” too. Oh, no link, it’s in my tongue-in-cheek PostScript. My friend used to work for a PJ airline and somehow thought I’d be the one to ask to use their services. After I laughed at her, I decided to humor her a little and ask how much it cost, and she told me $1000/hour – and you have to pay round trip, regardless of if you’re coming back with it. I wasn’t sure whether to turn the laughter to crying. Cute dress too, and the pattern looks easy and very doable. Thank you. Yes, doable indeed. 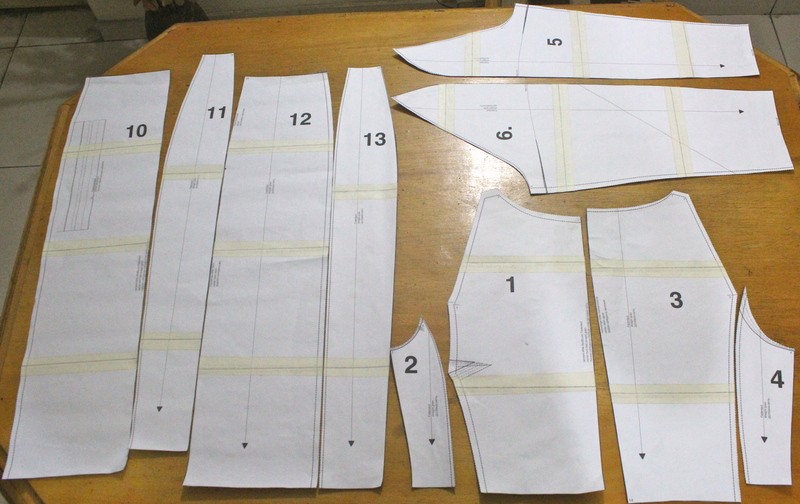 Commercial patterns add ease to the sewing process, the only downside is the sizings. I’ve come to realise that two women could both be a shop size 8 but still have different bust-waist- hip and torso length measurements. u make the art of sewing seem so easy! u wud make a great teacher do u know that? thats a nice dress. i would prefer another kind of fabric tho, but it looks great on u and its nice that u added ur personal touch to it-the piping and lace hem. 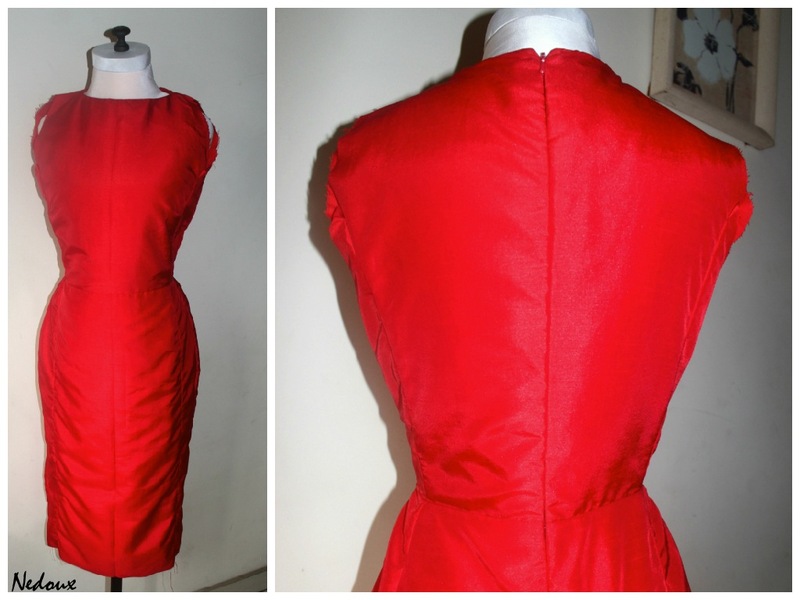 I am working on putting up a tutorials page soon to describe the techniques of dressmaking even better. 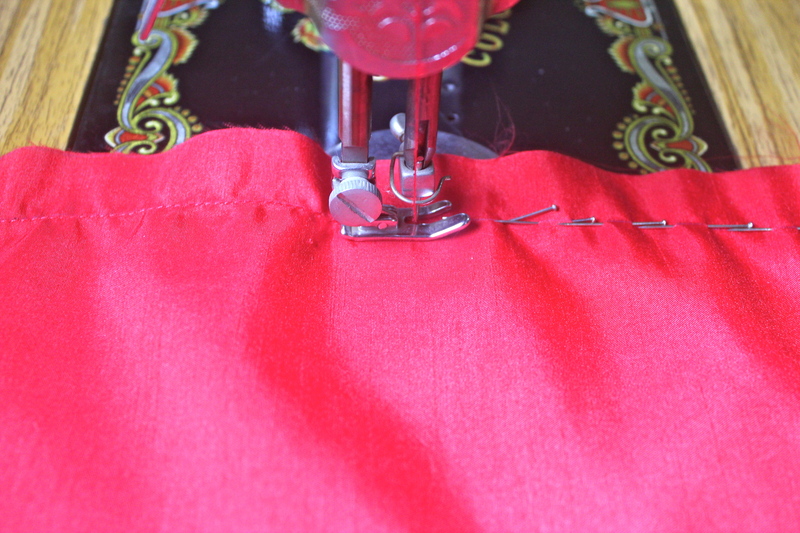 DIY sewing is very learnable. Yes, the piping and lace hem add detailing to an otherwise plain dress. Nicely done, the leather piping adds a slice of edgy to the demure dress. Lol PJ. I stumbled upon a post on Instagram some days back of some big girls in Lagos who’ve got their own (entrepreneurs) walking into a PJ. God will do it my dear lol. You did good and I like how it wasn’t super tight, a little bit alté, leaning to a shift dress. Lol, I am very inspired, but still surprised by the “tale of 2 cities”- ness of it all. I will use her oh (I even gave it a name but now I’ve forgotten lol). Lol @ “I even gave it a name but now I’ve forgotten”. I named my first sewing machine “Sisi Clara”. Of course, I will be more than happy to tutor you 😀 I’ll also recommend books and online tutorials that have helped me tremendously. I am working on putting up a “How to…” page on my blog. Whoop! Looking forward to the “how-to” page. Wow, you have a talent young lady. And you are very pretty too. And by the way, come to England and PJs will not be that irritating. The homes Nigerians own will do that for you. Absolutely gorgeous. 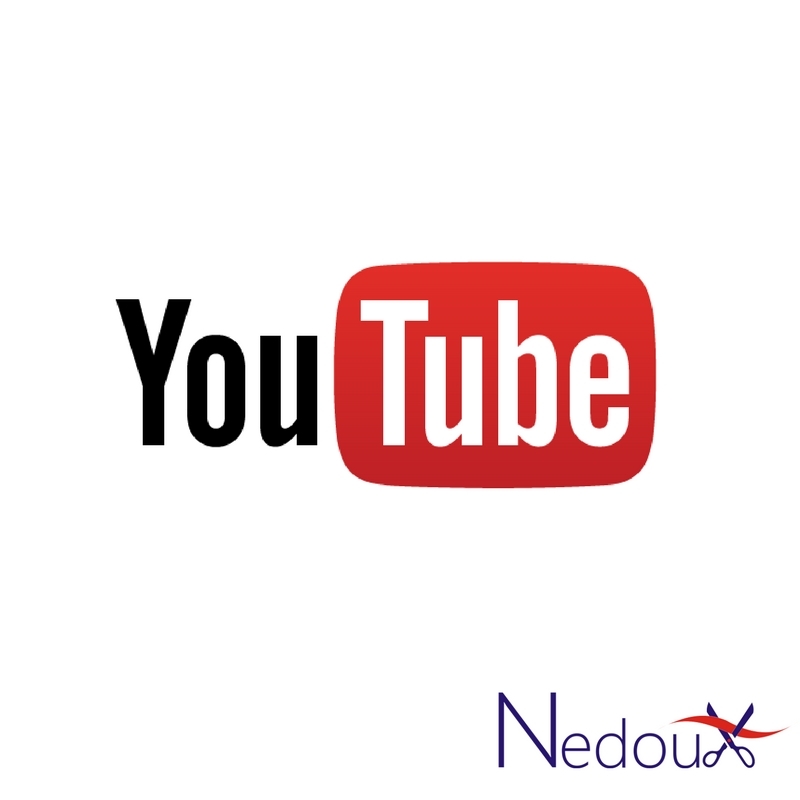 Nedy so so beautiful. Lol @ The PJ life. 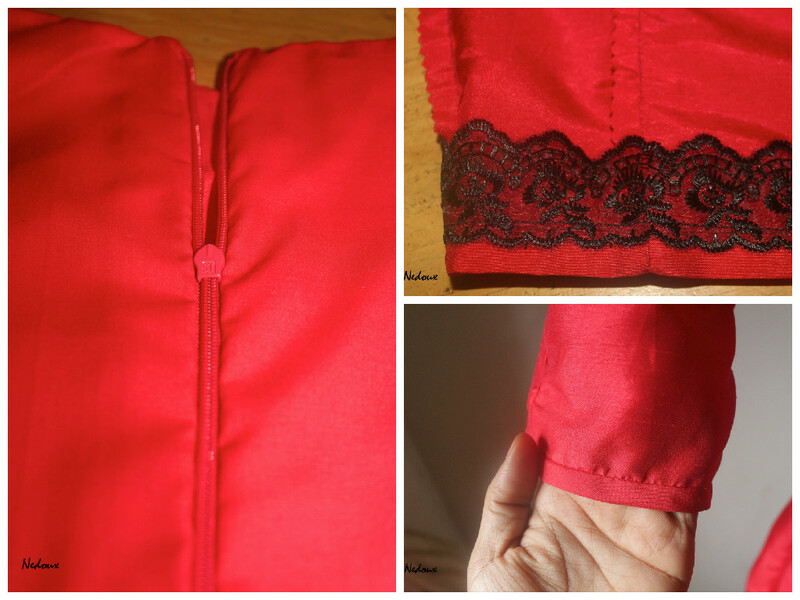 I really enjoyed reading about the detailed sewing process, the lace hemming is very pretty. Ah yes, the lace hem tape is my favourite detail in the dress. I just got onboard the boeing 701 ‘Red’ express. Was never a fan of the color but I seem to be tilting towards it these days. Well done with the dress. I like. Thank you, red always adds spice effortlessly.